The gathering of the harvest is an opportunity to showcase the work Oregon State University is doing at the North Willamette Research and Extension Center (NWREC), just south of Wilsonville. 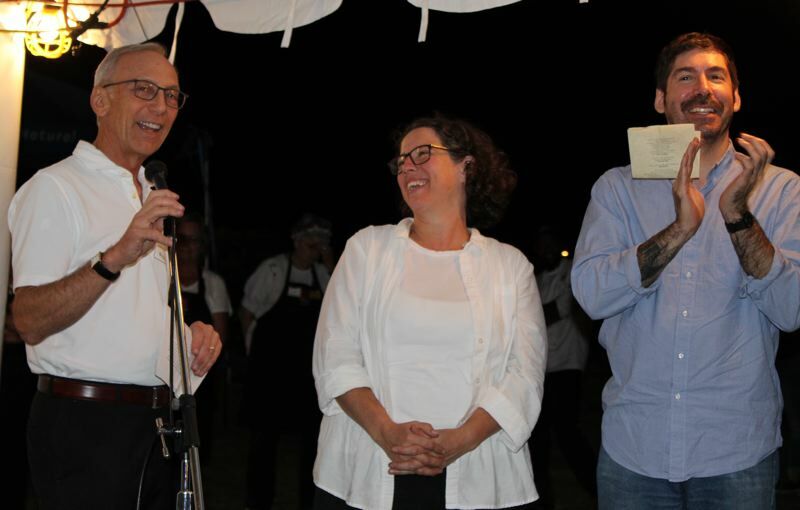 On a warm early-autumn evening, Sept. 28, about 250 people came together on the fields of NWREC for their seventh-annual Harvest Dinner. 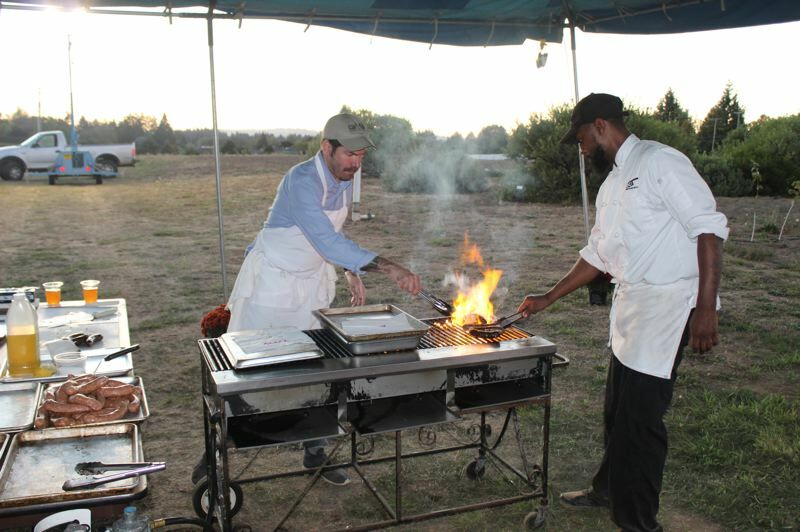 "Each year we create a unique farm-to-plate dinner that utilizes produce from our field experimental trials and tells the important story of our work," said Mike Bondi, NWREC director. "In addition, our meal and our evening program bring together our campus-based activities that train the next generation of agriculturalists, researchers, teachers, and leaders who will shape the future of the state, our way of life, and our economy." Guests, including OSU administrators and staff, elected officials, local farmers and community residents enjoyed specialty cheeses, sausages and experimental beer - all developed by Food Science and Technology programs on campus. A medley of vegetables and quinoa from NWREC field trials created a variety of diverse side dishes followed by a blackberry and hazelnut crumble from the bountiful late summer berry crop harvest. The menu was developed by Chef Jason Ball, with OSU's Food Innovation Center in Portland and Buffy Rhoades, OSU Extension Service in Clackamas - and prepared and served by OSU Extension Family Food Educator volunteers. 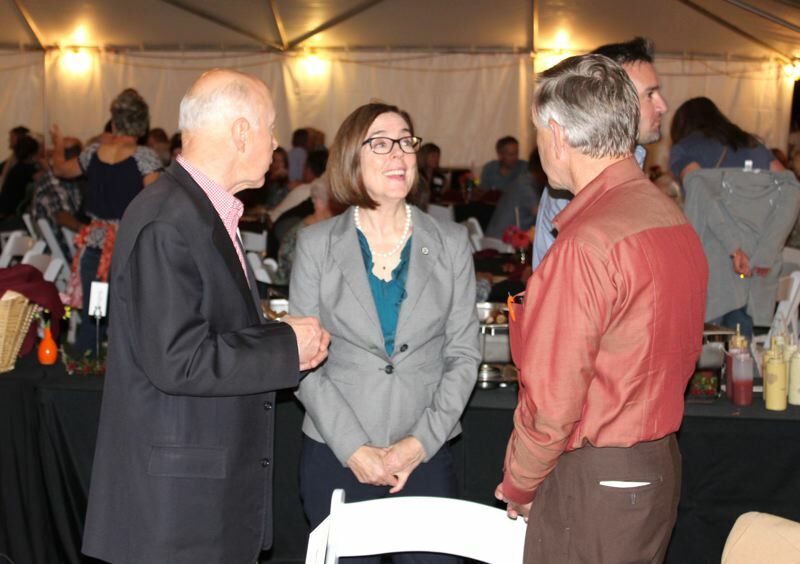 "I just am really grateful for the creative, innovative work that is happening at the Extension Services," said Oregon Gov. Kate Brown, attending for the second year with her husband, Dan Little. "I think it really adds value to our agriculture products and I am really excited about the level of creativity and innovation that is happening in the food sector." 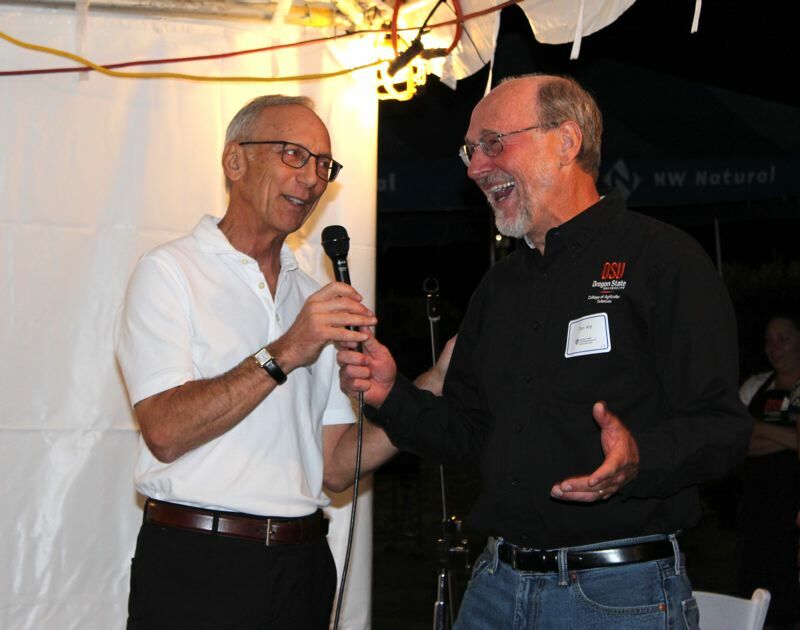 The Harvest Dinner began as a small garden party in 2012, to welcome Dan Arp, the new OSU Dean of the College of Agricultural Sciences at the time. 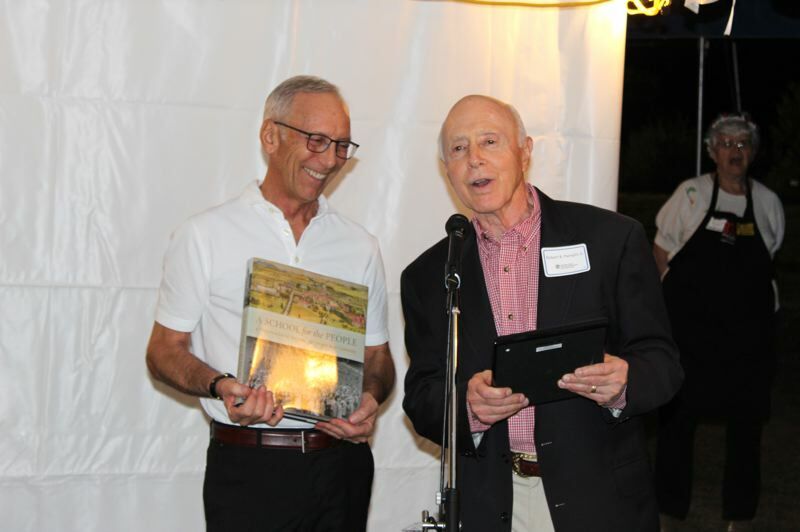 This year's Harvest Dinner included a tribute to Arp as he heads into retirement and a presentation of the Agriculture and Community Leader award to Dr. Robert B. Pamplin Jr., farmer, entrepreneur and president and CEO of R.B. Pamplin Corporation. "The great thank you goes to all of you here tonight who are involved in agriculture," said Pamplin, who shared stories of his childhood experiences on his grandmother's farm in Virginia. "It is your service that really captures the significance of the spirit and commitment that we have here in Oregon in agriculture." NWREC is the Willamette Valley's only agricultural experiment station used to conduct research on programs that help local farmers solve problems, create new crop opportunities and build skills for success.